Coming in July, A Ranch to Keep Re-Release! 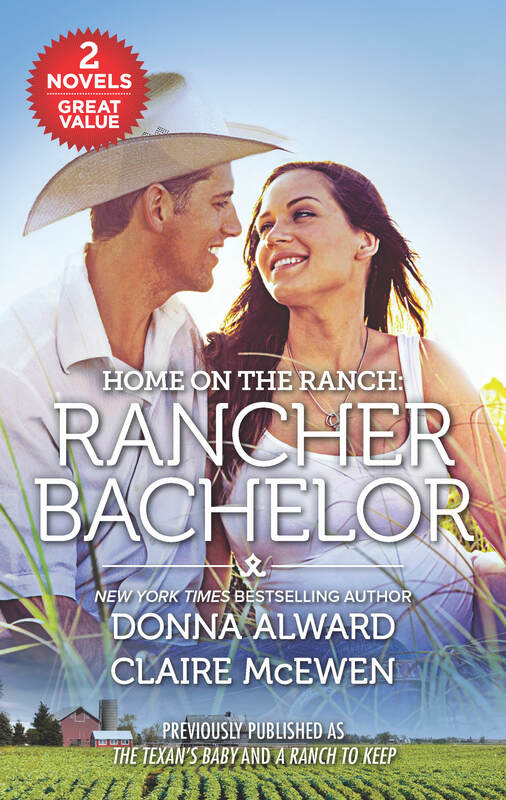 A Ranch to Keep, my very first book, is headed for re-release! Not only that, but it’s getting paired with a book by an author I’ve admired for a very long time, Donna Alward! So that’s pretty much dream-come-true stuff for me! And here is the cover! Isn’t it fun? Home on the Ranch. (I think that’s a series.) Rancher Bachelor. I love it! Now, I don’t know too much about the re-relase yet, but I have seen books like this in stores like Target before, so I hope that’s where we’re headed. Right now you can pre-order it as an ebook on Amazon, but no paperback book is offered there yet. I’m sure it sounds funny that I know so little. But Harlequin is such a big publisher, they don’t always communicate when stuff like this happens. They just email you a cover. Normally I would ask my editor about it, but I don’t actually have an editor now because mine got laid off and I haven’t managed to sell any new books to Harlequin yet. So… I’m a bit in the dark. But I will let you know stuff when I know it! And if you’re wondering what to read next, please consider a book by Donna Alward! I really think you will enjoy her writing. I loved her Cadence Creek Cowboys series, and I have her Jewell Cove series on my Kindle, though I haven’t got to it yet. Soon though! Anyway, Thanks for celebrating my good news with me! 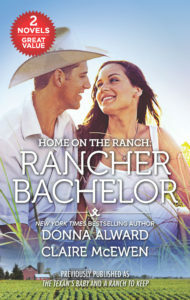 And I’ll keep you posted about where you might find Rancher Bachelor!